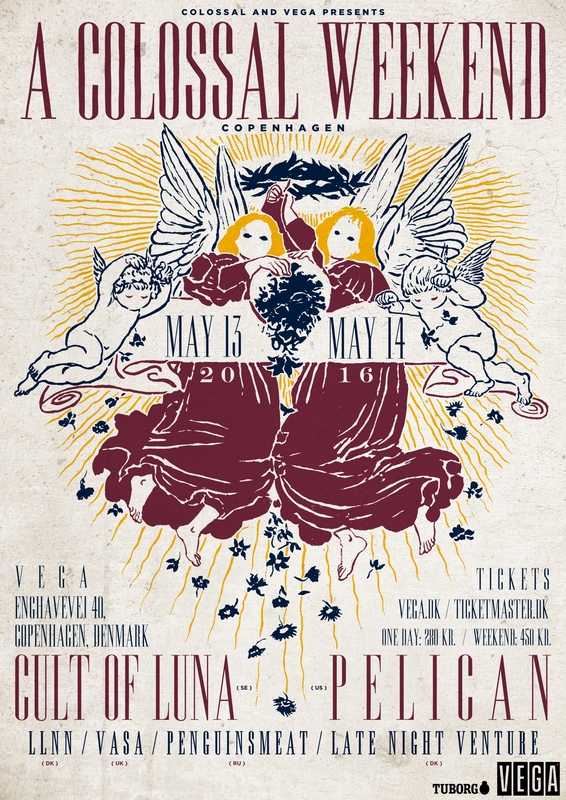 Cult of Luna (SE) and Pelican (US) are the first headliners to be revealed for A Colossal Weekend at VEGA on may 13 and 14 2016. The full lineup will contain a total of 12 international acts playing two stages from may 13 to 14. A number of film screenings will also take place in and around VEGA during the weekend.